In late 2015, a California businessman thought he had a great deal with Heartland Bank of Little Rock. Suneet Singal of El Dorado Hills, California, would allow his New York real estate firm to assume about $15 million in Heartland loans that another company was about to default on in exchange for financing for his company’s restaurant project. Singal’s company, First Capital Real Estate Investments LLC, assumed the loans on Dec. 30, 2015, but the promised financing never came, he said in a November deposition. The loans, which were tied to hotels that First Capital acquired, went into default six months later. Meanwhile, Heartland Bank struggled. The bank lost nearly $7.9 million in 2016 and more than $13.8 million through the first nine months of 2017. The red ink reduced the bank’s total equity capital to $6.7 million. After Heartland’s holding company, Rock Bancshares Inc., defaulted on its own loans, Simmons Bank of Pine Bluff took ownership of the bank in August 2017. 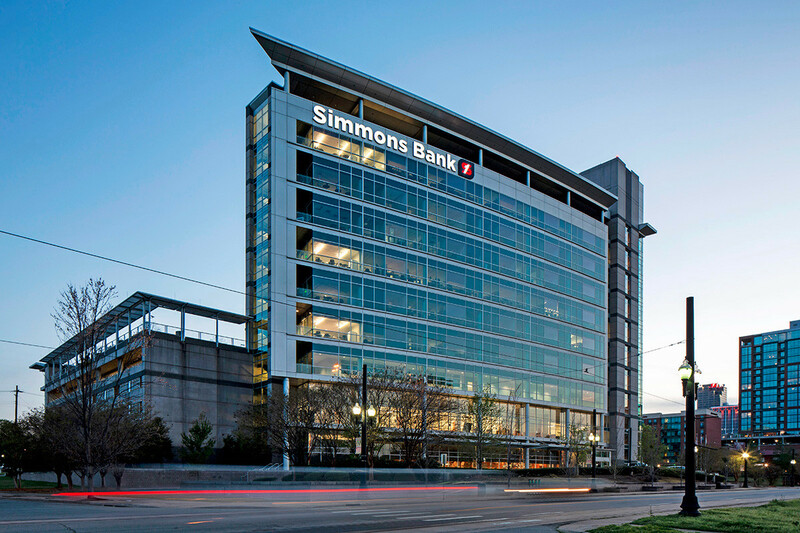 Among its first acts as trustee of the Heartland Bank Liquidating Trust, Simmons sued Singal, First Capital Real Estate Investments and its related entities in U.S. District Court in Little Rock for a judgment on the defaulted loans. Last month, U.S. District Judge D.P. Marshall Jr. awarded Simmons $20.9 million against First Capital’s limited liability companies and Singal, who personally guaranteed the loans. Marshall wrote in his order that Singal’s understanding that Heartland would provide other financing didn’t override the loan documents. The loan documents said that “the parties specifically agree that Heartland had not committed to provide any other financing,” Marshall wrote. Attorney Christoph Keller of the Little Rock law firm Quattlebaum Grooms & Tull, who represented Simmons, said neither the firm nor the bank would comment on the litigation. The lawsuit and exhibits filed in the case, however, provide some insight into the collapse of Heartland Bank. Singal earned a degree in finance from California State University at Sacramento in 1999 and in 2003 formed First Capital Real Estate Investments, where he is a managing member. The company began as a private real estate holding company, but over the years it bought and sold interests in different companies, according to Singal’s deposition, taken last fall. Singal said he had bought and sold property in the Permian Basin in western Texas and southeastern New Mexico and in the Eagle Ford shale play in Texas. A commercial real estate investment and development firm called RREAF Holdings of Dallas owned about a dozen hotels in these areas. Singal said the RREAF principals called him to restructure about $90 million of debts tied to the hotel portfolio. Three of the loans for the hotels were made by Heartland Bank and nine were with a lender in New York, Singal said. Nine of the hotels ended up in bankruptcy, but the three tied to Heartland didn’t. That, Singal said, is when Sowden introduced him to Heartland Bank. About that time, in late 2015, Walter Quinn surrendered his titles as chairman, president and CEO of Heartland’s holding company. According to a civil lawsuit filed in 2016 and later dismissed, an examination of Heartland by the Federal Reserve System and the Arkansas State Bank Department had revealed evidence of self-dealing by Quinn and other affiliates of Heartland Bank. Quinn has denied any wrongdoing. Also in the same timeframe, one of First Capital’s related businesses, First Capital Retail, was in talks to buy a franchise of a fast-casual restaurant chain called called Baja Fresh, Singal said. Singal said Quinn was “very involved all the way through” with the negotiations involving the hotels and the financing he claimed he was promised. But Quinn told Arkansas Business last week that he wasn’t involved in the bank at that time. According to Singal, if First Capital took the loans, Heartland would provide more than $10 million in financing for the Baja Fresh deal. First Capital also was looking for money at the time. It agreed to take the liability “so long as Heartland Bank provides the capital for other pieces,” Singal said. The deal closed on Dec. 30, 2015. Simmons had a different view of how the transaction happened. According to its successful lawsuit, Singal approached Heartland Bank with the proposal to acquire the RREAF hotels. He proposed that Heartland lend money for the purchases to three subsidiaries of First Capital. The lawsuit didn’t mention anything about Heartland providing financing for other First Capital projects. To secure the loans on the hotels, the First Capital entities granted Heartland Bank a security interest in all of the assets of First Capital’s entities. Heartland also kept its security interest in the hotels that secured the original loans to RREAF. In early 2016, Singal said, he wondered when the financing for the Baja Fresh acquisition was coming from Heartland Bank. He said the hotels were losing money, and he told Quinn that he wouldn’t be able to sustain the losses until the financing that was promised appeared. “And there was continued promises not to worry, that they would continue to extend credit … or renew the loans ... until such time that we could all work to get to a mutual exit together, which involved financing with First Capital,” Singal said. In June 2016, the First Capital entities defaulted on their loans from Heartland, which at the time totaled $15.4 million. The interest on the loans since the default added $5.5 million to the amount. Simmons sued Singal and First Capital on several counts, including breach of contract. The hotels were foreclosed on several years ago, and attorney Sarelson, who represents Singal, said he doesn’t know who currently owns them. Simmons asked for a ruling on the case before it made it to trial. Marshall agreed and awarded Simmons the money owed on the loans plus interest. “[N]o factfinder could conclude that it was reasonable for the First Capital entities or Singal to rely on assurances from Quinn that more financing was around the bend,” he wrote.